Until now, we haven’t gotten that good of a look at Scarlett Johansson in the upcoming Ghost in the Shell film. The only released publicity still is a profile shot, so it’s hard to see how she’ll pull off augmented-cybernetic human Motoko Kusanagi. Johansson’s casting has been a source of controversy in the West, with the film being criticized for whitewashing the source material. 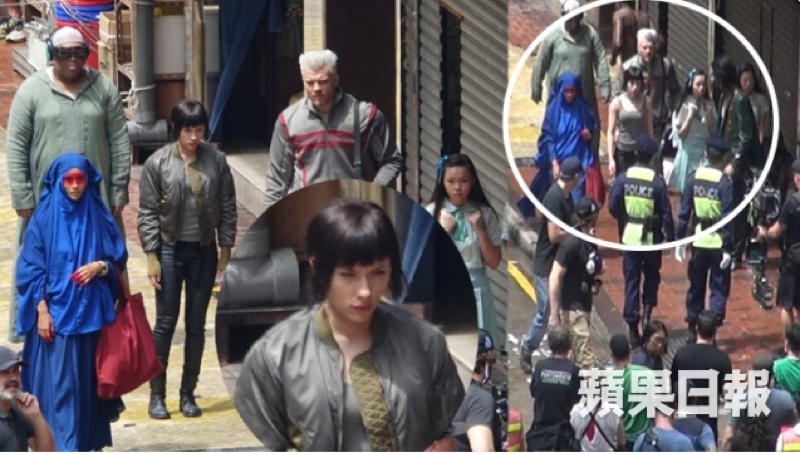 Via HK01 and Twitch Film, here are set photos of the movie’s shoot in Hong Kong. Apple Daily and South China Morning Post report that the cast and crew were spotted on Pak Hoi Street. Good choice for a double. She looks just like the actress or just like Kusanagi. Whichever. Here’s actor Pilou Asbæk, who plays Batou.